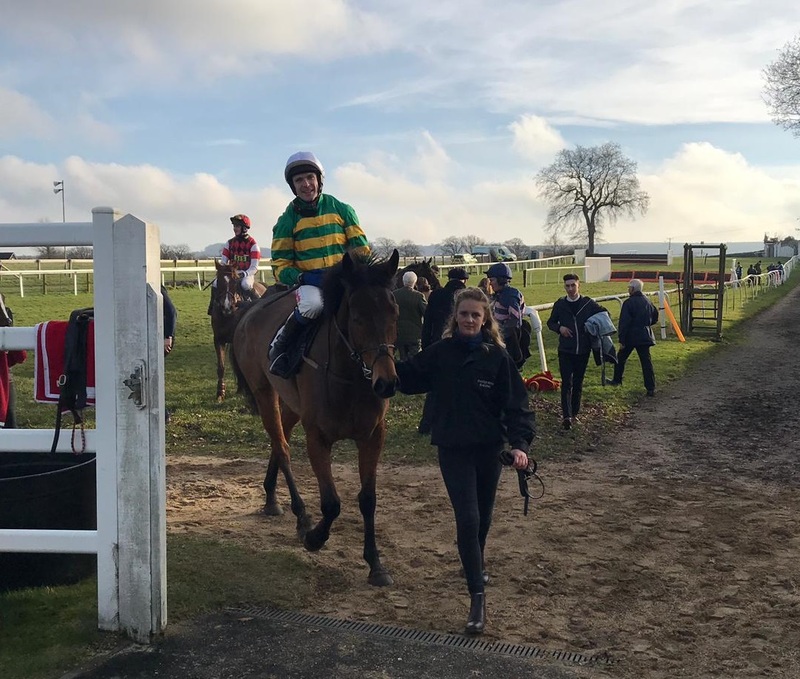 Well, it was a good day for the yard yesterday at Plumpton on the resumption of racing after the enforced absence due to the equine influenza outbreak. The Pond House horses fared well with a winner and a second from our two runners. Duc de Beauchene (pictured above) was a ready winner of the 2m4½f handicap hurdle - the step-up in trip certainly seemed to suit him well and he looks like he will get further again. His jumping was good and he looks like a nice chaser in the making. Three Star General also ran a cracker, failing by only a lenght to concede a stone to the winner in the 3m1f handicap hurdle. He has been knocking on the door of late and deserves to win something similar. Tom Scudamore did go on to land a double, although the second winner won't count in the form books. He won the charity space hopper race, just holding off Josh Moore in a tight finish! There is a good picture in the Sun today. There are four meetings taking place this afternoon with jumps cards from Kelso, Leicester and Fontwell as well as an all-weather flat card from Chelmsford City. There are no runners from Pond House today, although both Tom Scudamore and David Noonan have picked up outside rides at Fontwell. There was a good result for Spurs last night as they beat Dortmund 3-0. All three goals came in the second half. I see that golfer Matt Kuchar is at the centre of a caddie cash row. He paid his stand-in caddie only £4,000 after winning a £1 million pound tournament. Kucher's regular caddie David Giral Ortiz would have hoped to have received something nearer £40,000! Mind you, a lot of people would have liked to have earned £4,000 for carrying a bag around for four days! Ronnie O'Sullivan is talking about retiring from the game of snooker. He is only 43 - I suppose running around the table must take it out of you!. Snooker is a very physical sport - I think I am spot-on with that one...chalk it up to me! Why did Guns 'N Roses miss a gig in the snow? Axel Froze!